FULL AKROPOVIC RACE EXHAUST. NEW BATTERY- FRESH MAJOR SERVICE DONE AND REAR RACK . ENGINE: The brilliant LC4 showcases twenty-four carats of fun. From the trademark 690 cm³ thumper, the engineers have now extracted a whopping 73 hp (54 kW) and 74 Nm of torque, making light work of the equally lightweight 690 Duke. How it happened? They completely reworked the cylinder head, inserted a new, ultra light and extremely strong piston and connection rod, rerouted the air intake through a resonator chamber and provided the new crankshaft with new sleeve bearings. As a result, the powerband now is a thousand rpm wider, which means an even more uniform power delivery, especially in the mid to high rev range. Twin ignition featuring plug-selective mapping, rock solid but featherweight internals and optimized intake and exhaust systems cultivate this massive mono to be as strong as it is smooth, assisted by an advanced ride-by-wire system with three riding modes, which guarantees great refinement as well as low fuel consumption and emission figures. You’re green, while they’re green with envy. And you haven’t even begun mentioning upmarket goodies like a standard slipper clutch. NEW CYLINDER HEAD: Inside the new cylinder head, the exhaust valves are actuated by roller rockers while the camshaft powers the intake valves. Therefore, the ignition timings can be controlled with far greater accuracy. The result is more peak power over a broader rev range. Win-win! SECOND BALANCER SHAFT: In a free-revving firecracker like this, you want to smooth things out a bit. That’s why the camshaft serves as a bonus balancer shaft, nipping annoying vibrations in the bud. FRAME AND SWINGARM: The 9 kg tubular trellis frame made from chrome-molybdenum steel and the equally lightweight, smoking hot swingarm, die-cast in aluminum, impress with extreme levels of torsional stiffness, providing the 148,5 kg Duke with excellent tracking stability and a continuous flow of information to the rider. New triple clamps lower the fork offset, which underlines this characteristic even further. You’ll notice. RIDE MODE TECHNOLOGY: Three different ride modes (‘Sport’, ‘Street’ and ‘Rain’) not only moderate the power delivery, but also tell the traction control system how crazy the rear wheel can get, depending on the situation. 'Sport' and 'Rain' ride modes are available as optional extra in the 'Track pack'. TRACTION CONTROL (TC): In relation to the selected ride mode, traction control allows for different amounts of rear wheel slippage. From being in full control in the rain, to mastering controlled power slides out of corners: It’s all within the push of a button. TC is available as an integrated part of the optional ‘Track pack’. 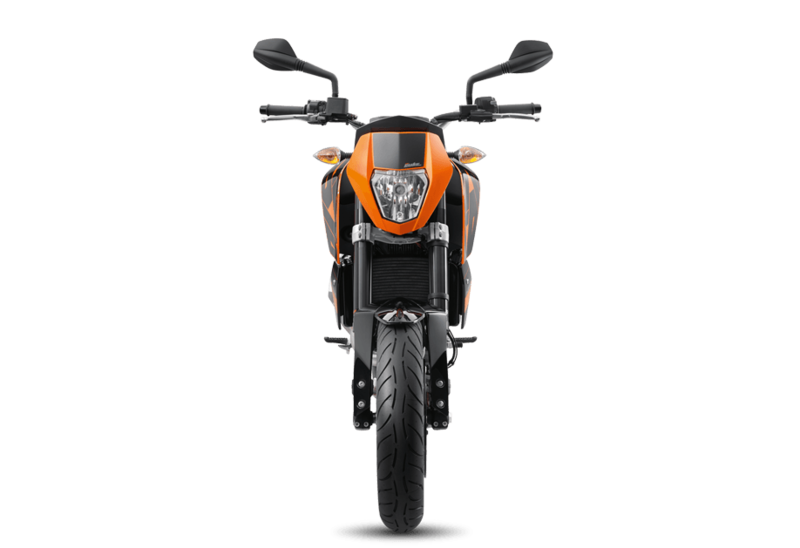 MOTOR SLIP REGULATION (MSR): MSR avoids rear wheel lock-up when you chop the throttle or drop the clutch on downshifts. Feeling lucky? Just turn it off entirely, so you can get your slide on like a boss. Just as TC, MSR is offered as an optional extra or as an integrated part of the optional ‘Track pack’. SUPERMOTO MODE: Expert riders will love the added fun-factor (and extra racetrack safety) of this optional mode, activated at the push of a button. When engaged, the system will only control the front brake. Rear brake pressure is entirely up to the rider’s right foot. And its party mood. 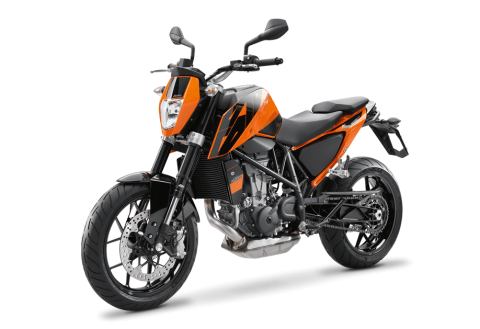 ERGONOMICS: Despite its pronounced lust for cornering, the 690 Duke also presents versatile real-world capabilities. On a daily basis, particularly the new two-piece seat will prove a valuable friend. It’s comfortable and spacious, while still being set up for all dynamic riding situations. 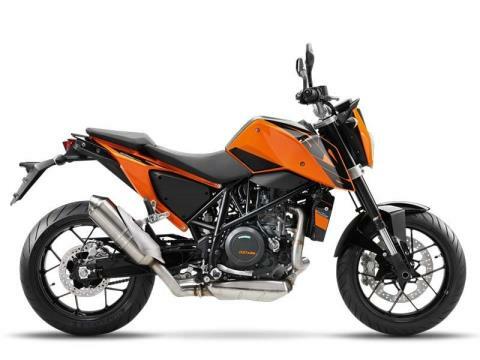 The seating position and freedom of movement behind the wide aluminum handlebar provide perfect support for controlling the bike both in traffic hell as well as cornering heaven. 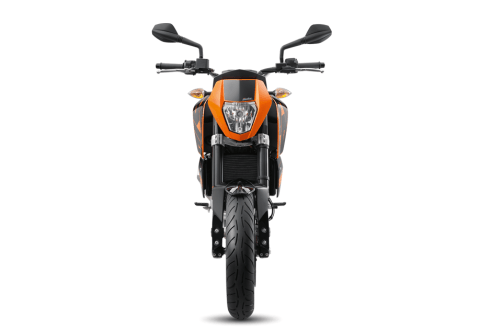 Workday commute or weekend blast: the 690 Duke has your back. 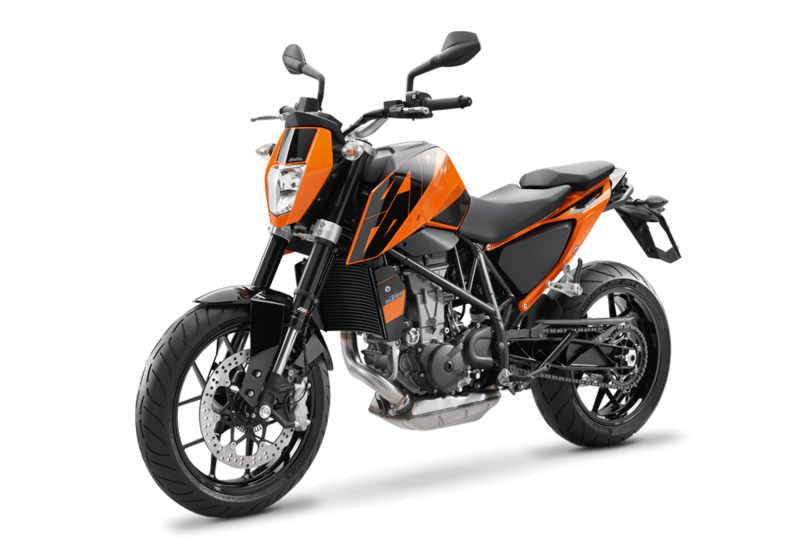 COLORS AND GRAPHICS: The 2016 Duke is instantly recognizable by its fresh colors with new, racy graphics and a jet-black frame. Because looks matter, don’t they? EURO IV HOMOLOGATED: Thanks to its optimized intake and exhaust systems, the new LC4 engine even complies with the Euro IV emission control standards. A first in KTM’s history. Chain - X Ring 5/8 x 1/4 in.